O (Observation): Paul and Barnabas are at a synagogue in Pisidian Antioch. Paul is invited to speak to those at the synagogue. He takes the opportunity to speak of Salvation History, pointing to God’s actions from the Exodus to Jesus’ life, death, and resurrection, to those who were witnesses to Jesus’ resurrected life, to the witnesses standing before them (Paul and Barnabas themselves). Paul reminds them (both Jews and God-fearing Gentiles) that God’s actions are like a parent adopting children. They are all to sense that God has adopted all of them, that they are all worthy sons and daughters, made so by Christ’s death and resurrection. The promise to their anscestors has come true…in the person of Jesus Christ, who has overcome the power of sin and death. A (Application): Sometimes, players on sporting teams feel as if the coach cares so deeply about them, the player almost feels like he / she is adopted by the coach…that the teammates become like brothers / sisters. In the same way, God adopts us into the larger Church – the family of God. Not by blood. Not by nationality. Rather, we are invited into God’s story. We hear the message, we believe the message through faith (instilled in us by the Spirit) and we share the message to invite others to join. This cycle continues over and over again. And the cycle never stops. Yet for some reason, many of us believe that once we are “in,” that the journey has ended. Well, I’m happy to share that this is NOT the end. Rather, there is no end. There is always opportunity. To share grace, to show mercy, to live as Christ lived. Do you remember who shared God’s gospel with you? Business friends? Sunday School teachers? Family members? The possibilities are many. I hope you can recall those who shared the Good News with you, and I pray you take the opportunity to share the Good News with others. Feel free to list any names of folks who have shared the Good News with you in the comments section below. I list my parents, my pastors, and my friends at church camps over the years. P (Prayer): Lord, we thank you for adopting us as your sons and daughters. Help us to invite others along for the journey. Amen. 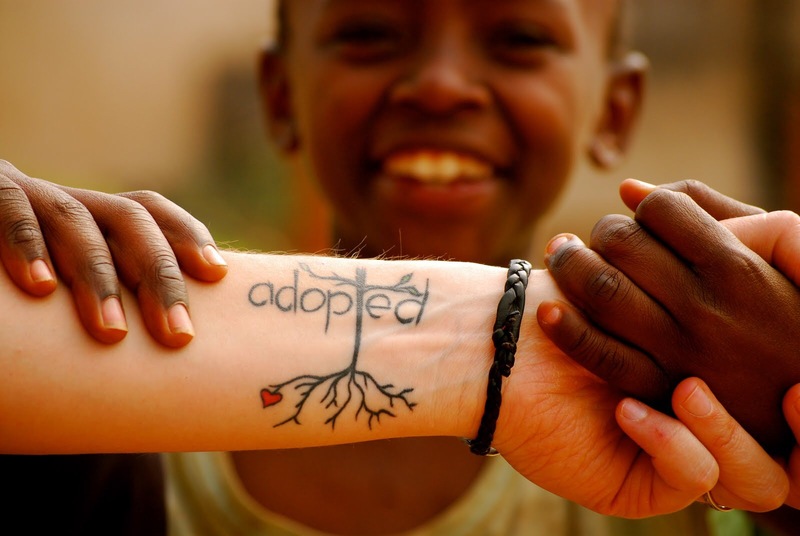 This entry was posted in Digging Daily and tagged Adopt, Daughter, Gospel, Son. Bookmark the permalink. Major oops. I wrote the word “lost” instead of “list” in the first draft of my post, in the last paragraph in the Application section. I have now corrected it.